This rote memorization approach to learning is still common in many parts of the world. But studies show that it when compared to a more differentiated, student-centered approach to learning, student achievement outcomes are much lower. This should come as no surprise: after all, there is a difference between reciting and learning something. Reciting information does not give it context. It does not give students a feeling of ownership over the material, and does not produce long-term understanding. Just because a student can recite the dates and major battles of a civil war does not mean she understands the underlying lessons relating to humanity and the shared responsibility of peace. And she did not use crucial skills like independent thought, leadership, and teamwork to achieve that understanding. 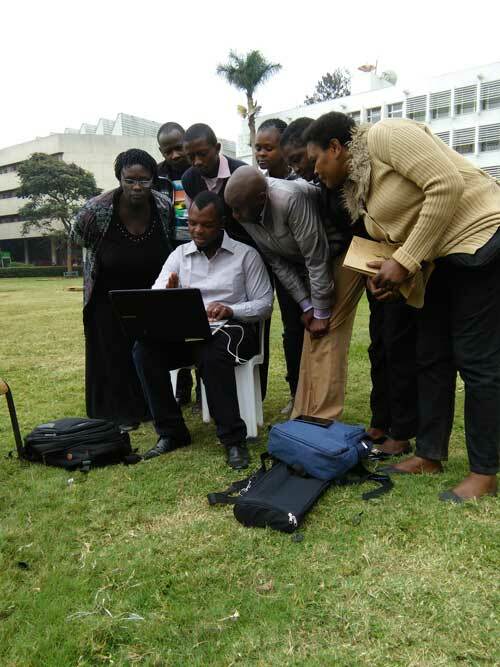 But many universities – particularly in Sub-saharan Africa – continue to train instructors in this Teacher-Centered approach to learning out of practical necessity. The truth is, this method of teaching is easier. It is more cost effective, at least in the short term. And teachers who have not been adequately prepared – who have limited resources and can be outnumbered by students as much as sixty-to-one – find that having students quietly writing down notes instead of freely roaming the classroom gives them a greater sense of control. Last month E-Gap launched our 3,000 Teachers Training program. This free program includes over 400 hours of video based and written instruction designed particularly for teachers working in conflict zones and areas of extreme poverty. The program focuses explicitly on Student Centered teaching methods. It talks about how to differentiate learning, employ scaffolding, teach to promote student ownership, and understand the different learning styles of students. It promotes an understanding of why these differences exist, drawing from neuroscience and studies relating to gender-based brain differences. Above all, teachers learn practical strategies for implementing a number of different student-centered approaches – even in situations where classrooms are no more than a designated spot on a dirt floor, and textbooks are torn and tattered throwaways now sorely out of date. Great teaching does not require great resources. Its success is based on the relationship between the student and the teacher, and this course allows teachers to understand not only their students, but also the personal teaching styles and cognitive biases they, themselves, bring to the student/teacher relationship. Right now, teachers involved in the course have enrolled from Afghanistan, Kenya, Cameroon, Colombia, and the United States. They are studying remotely via mobile phone, or attending one of our in-person training workshops that provide a more in-depth, hands-on look at the course material. We are partnering with nonprofits, schools, libraries, and community centers to help train their volunteers. In the end, a teacher is by definition someone who teaches, and this course is open to anyone in a teaching role. 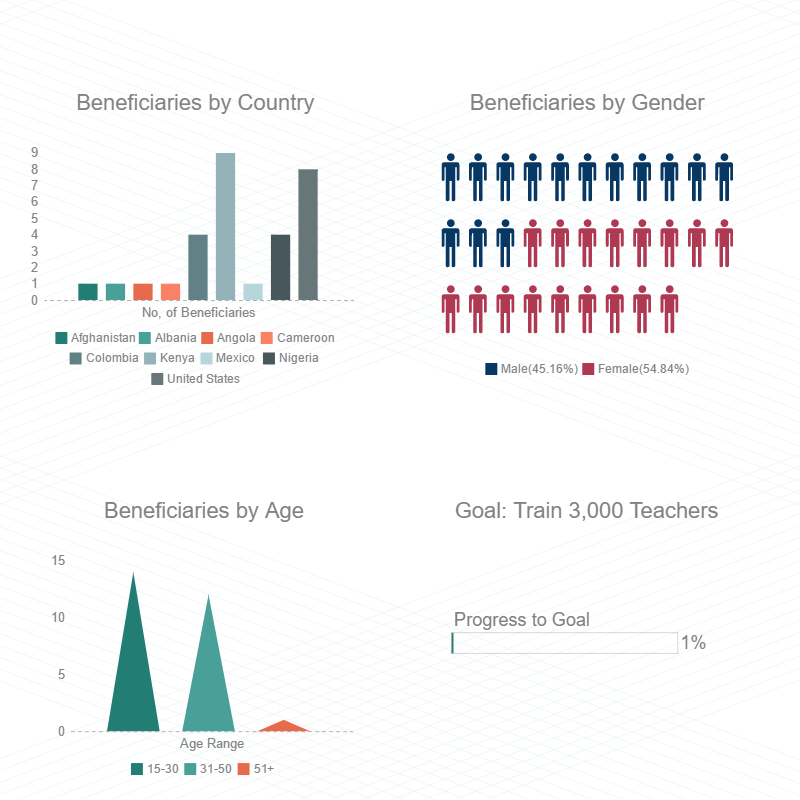 To learn more about the 3,000 Teachers Program – including its comprehensive Monitoring and Evaluation protocol – visit www.3000Teachers.com. Education Global Access Program (E-Gap) is a US-based nonprofit that trains and supports teachers working in conflict zones and areas of extreme poverty From curriculum design to training workshops, online programs, impact assessments, and partnerships, E-Gap’s impact is in service to one goal: making sure every single person around the world – regardless of age, gender, ethnicity, disability, or wealth – has access to quality education. Working in 6 countries across 3 continents, E-Gap is working to create and sustain communities through education. For more information please visit, www.Education-Gap.com.